Ukrainian Prime Minister Volodymyr Groysman discussed the progress of reforms in Ukraine and human rights abuses in Donbas and Crimea during the meeting with Pedro Agramunt, the President of the Parliamentary Assembly of the Council of Europe. 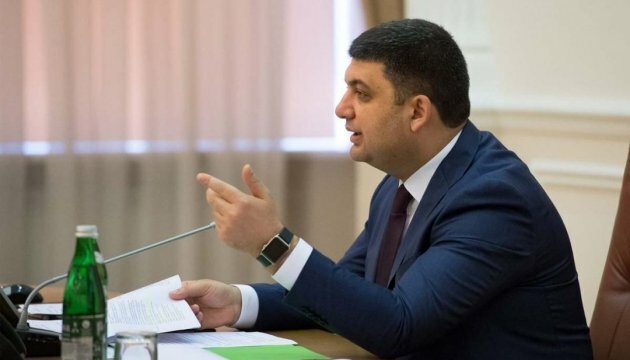 Groysman noted that the newly formed government was determined to carry out large-scale reforms and fight against corruption, the government portal reports. The Ukrainian Prime Minister also informed the PACE President about on the situation in Donbas and in Crimea and about the systematic human rights abuses committed by the aggressor, in particular, in respect of the Crimean Tatars. The Prime Minister emphasized the need to continue sanctions against the Russian Federation. "Easing sanctions should only occur when the aggressor leaves the Ukrainian territory, fulfils all obligations under the Minsk agreements and returns the territory of Crimea, captured by military means," he said. Pedro Agramunt assured that the PACE was ready to provide all necessary support to Ukraine on the way of achieving peace and prosperity.